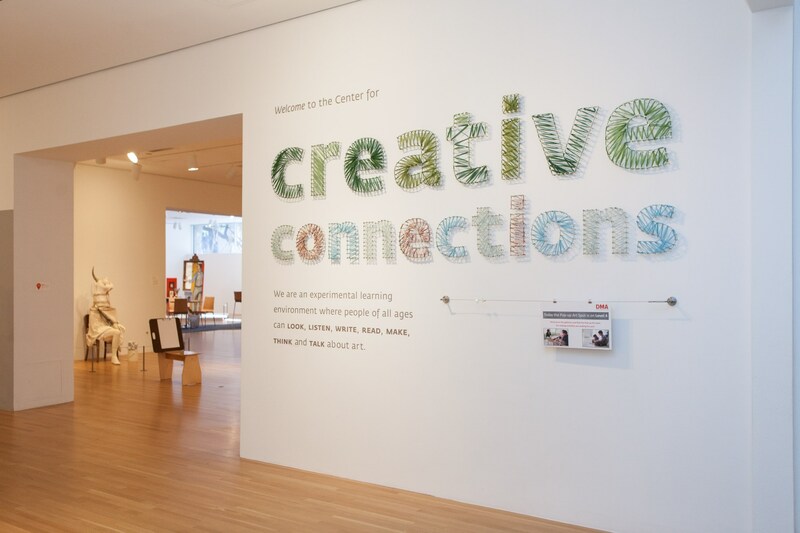 The Center for Creative Connections (C3) is unique because we focus on learning by doing. 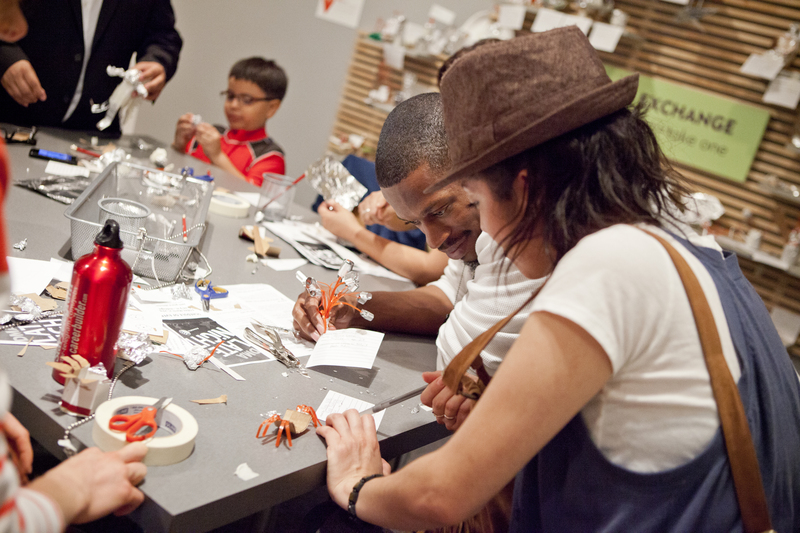 That means we design activities for people of all ages to learn about works of art from the collection by participating in a hands-on way. 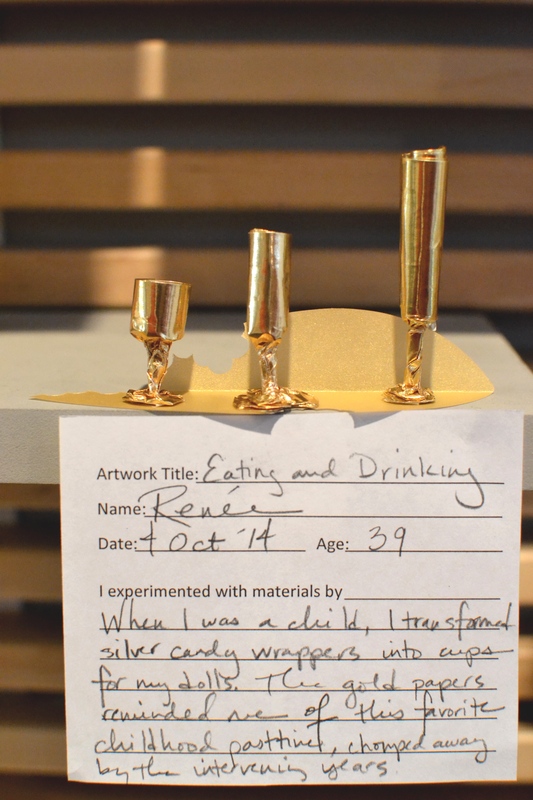 The activities we create to accompany works of art prompt visitors to engage in ways that are different from the standard didactic approach of a wall label. In C3, we want to provide experiences where visitors can make personal connections by drawing, writing, making, and discussing works of art with each other. Aside from drawing based activities, the Center for Creative Connections also has a drop-in art making area with large communal tables called the Art Spot, which we say is the place for “anytime art-making for everyone.” We invite visitors to explore their creativity by making creations out of unexpected or everyday materials. Every two months we change the materials and provide a prompt to inspire ideas. 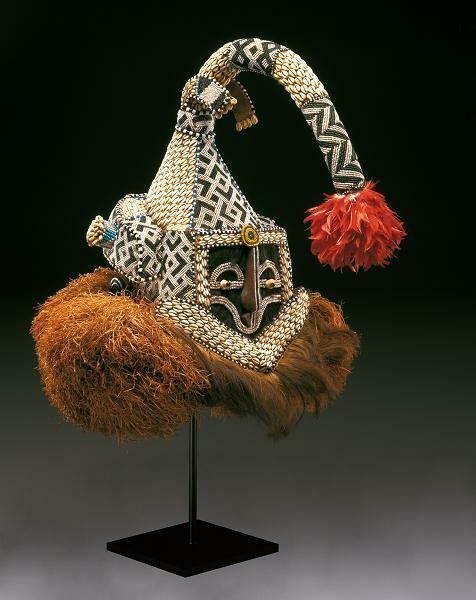 Each time I’m hesitant and wonder, “What will people make with this?” But, I am always delighted and surprised by the imaginative creations that are made and left behind. Children often come to C3 and head straight for the Art Spot, while adults can be a bit more tentative. However, regardless of age, most visitors stay anywhere from 5 minutes to two hours, with an average of about 20 minutes. Once they gather their materials they become immersed in their creation. For some it is a hands-on problem solving activity while for others it is about manipulating materials. How can you combine these objects (cups, spoons, paperclips, wire, egg cartons, cardboard, etc.) into something unique and surprising? This kind of open-ended activity, reminiscent of childhood playing and pretending, is not often made available to adults. I frequently watch my eight-year-old daughter take something like a toilet paper roll and turn it into a piano for her dollhouse, or repurpose a cardboard box to make an enormous rocket ship. This nostalgia for childhood play was brought perfectly into perspective by a recent Art Spot creation. Many people may not think that of an art museum as the ideal field trip location for a group of children with visual impairment, but when the Dallas Independent School District (DISD) contacted the DMA earlier this summer with such a tour request, we were eager to provide the best experience possible. When discussing the visit with vision teachers at DISD, they felt it was important to expose their students to art and wanted an experience that would illustrate to the students that they too have the ability to create and appreciate art just as well as any other student. 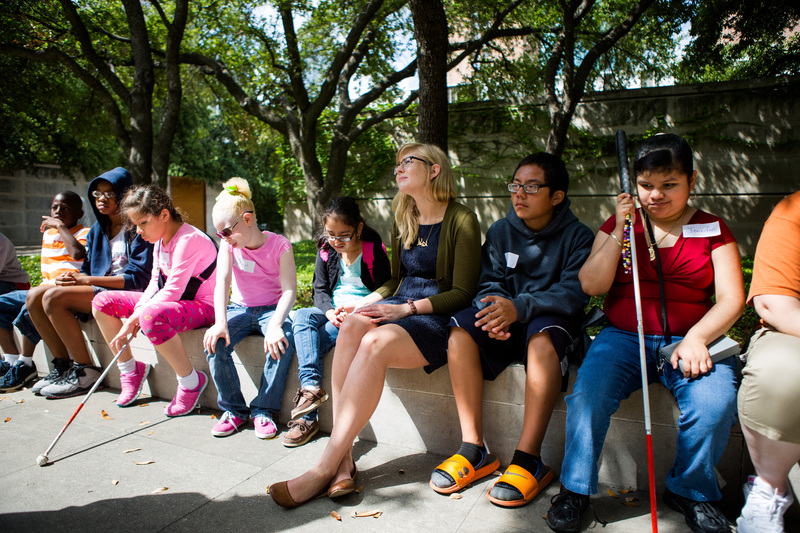 DISD students with vision impairments visiting the DMA. Feeling textures in a Barbara Hepworth sculpture. Go van Gogh, the DMA’s elementary school outreach program, is celebrating its 35th anniversary this year. 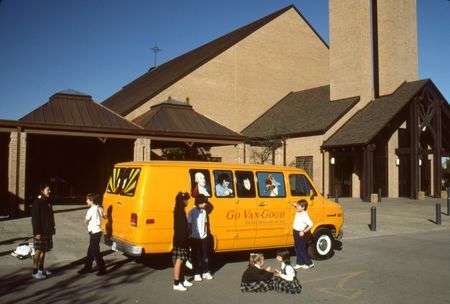 Before we pack up the Go van Gogh van and head out to schools across the city, we thought it would be fun to take a look through all thirty-five years of the program. Below are a few fun facts about Go van Gogh through the years. 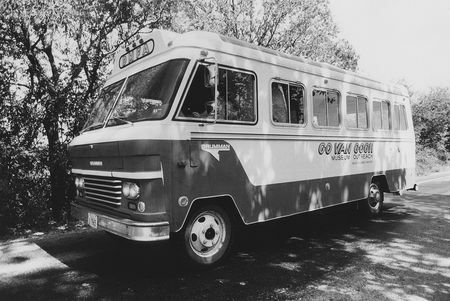 The first Go van Gogh van was actually a bus! 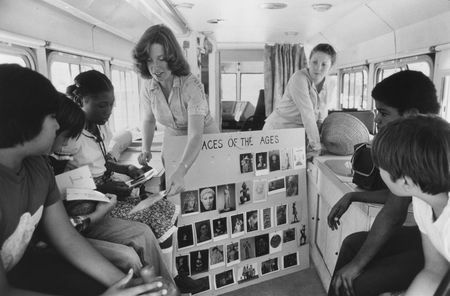 When the program began at the then Dallas Museum of Fine Arts in Fair Park in 1978, school outreach presentations could be given in classrooms or on the Museum Outreach bus itself. Go van Gogh vans (and buses) have always been easy to spot on the freeway. 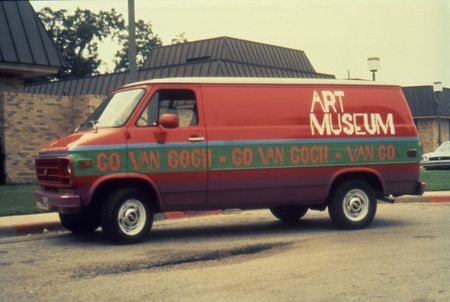 Bright and colorful, Go van Gogh vans often feature artworks from the Museum’s collection in painted or vinyl designs. 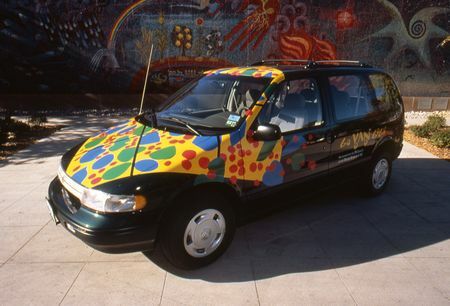 The Go van Gogh van from the late 1990s included a design from Henri Matisse’s Ivy in Flower. Go van Gogh programs have always included a visual presentation of artworks from the Museum. Through the years, we’ve made many updates in the technology we use to bring these artworks to life. What began with projectors and large printed posters led to overhead transparencies and laminated images. Later this school year, Go van Gogh will go digital: using iPads and projectors to bring images of artworks to life in the classroom. Looking ahead to fall, we are excited to unveil a new facet of Go van Gogh outreach–a program designed for Special Education classrooms called Color My World. To learn more about the program, visit our website. Amy Copeland is the Manager of Go van Gogh and Community Teaching Programs at the DMA. What the NAEA Means to ME! I joined the National Art Education Association in 2007 when I was an art education student at the University of North Texas and was instantly welcomed into a membership of 17,170 art educators who would mentor me along my educational journey. Membership and attendance to the national conventions truly made an impact on who I am today. By constantly being filled with current research, discovering the various ways to put educational theory to practice, giving presentations, hosting students, having numerous networking opportunities and by creating countless friendships—I became a stronger art educator. As I became more active in the organization, I was granted the opportunity to hold two leadership roles within the NAEA structure and just recently concluded my term as the NAEA Student Chapter President this past March at the 2013 Annual Convention in Fort Worth. Docents led families in a brief tour of the Flower of the Prairie: George Grosz exhibition. As of June 2012, 2,633 members classified themselves as students and testified to the need for an active voice in the organization. It was my duty over the past four years to serve the university student population to make their voices heard to the board of directors and to be an advocate for pre-professionals. At the beginning of the 2013 NAEA Convention, Past-President Dr. Bob Sabol addressed the Delegates Assembly to propose a change to the current governance structure. That change was voted on unanimously and can be seen in the following video. Some new and exciting things are in the works, and Bob can express it better than I can. I am still speechless! NAEA from amanda Batson on Vimeo. Don’t miss out on an opportunity to be a part of the NAEA and the 2014 National Convention in San Diego, CA. 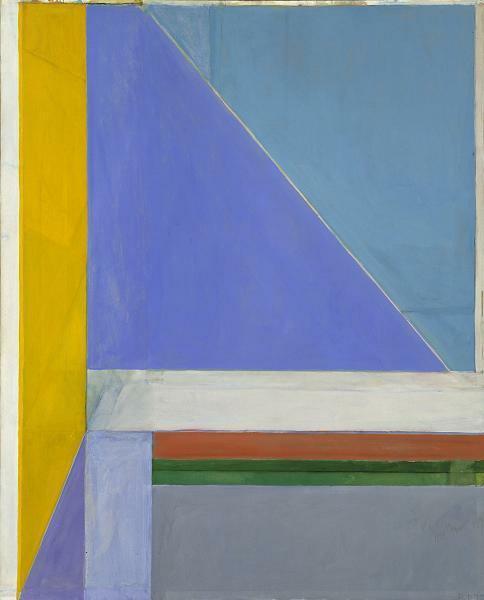 The NAEA is currently accepting applications for proposals. See you there! Tomorrow will be an emotional day for Education Staff at the DMA. Our Chair of Learning Initiatives and Director of Education, Gail Davitt, is retiring after twenty-six years of service to the Museum. Throughout her tenure serving in a variety of staff roles, her main focus has never changed: creating connections between art and people. We sat down for a discussion about her amazing work with us and her plans for the future. 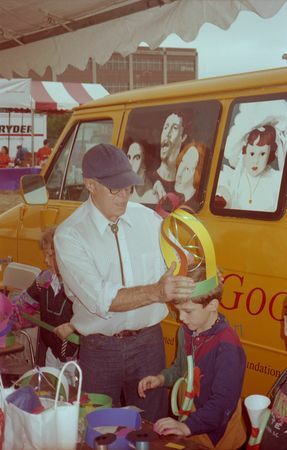 What originally brought you to the DMA? 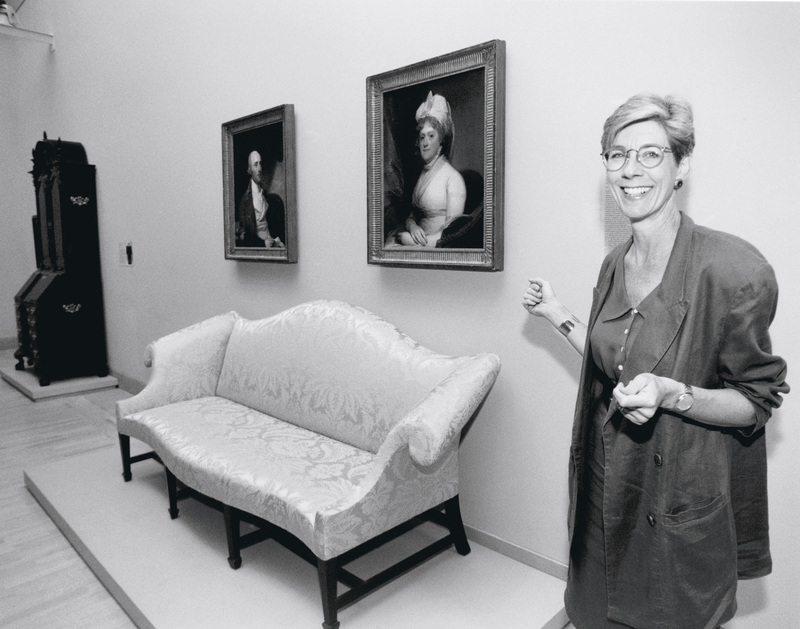 In 1986, as a PhD student in Arts and Humanities at the University of Texas at Dallas, I participated in several independent study courses, some of which involved working with curatorial and exhibitions staff at the DMA. Part of my coursework included a proposal for an exhibition titled “The Real Self,” focusing on contemporary artists like Cindy Sherman and Jonathan Borofsky. As part of another course, I had also interviewed Anne Bromberg, then Director of Education, who opened my eyes to the possibility of a museum education career—something I had never known existed. Although my exhibition never came to fruition, that fall I applied and was selected for a graduate education internship with Anne. 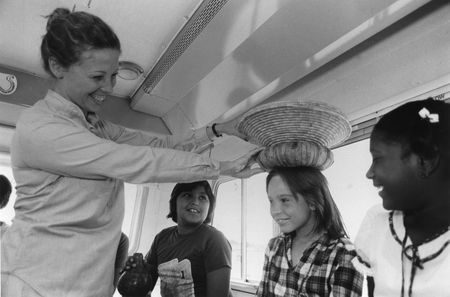 The following year, in the summer of 1987, I was hired in a full time position, working initially with teachers and docents. 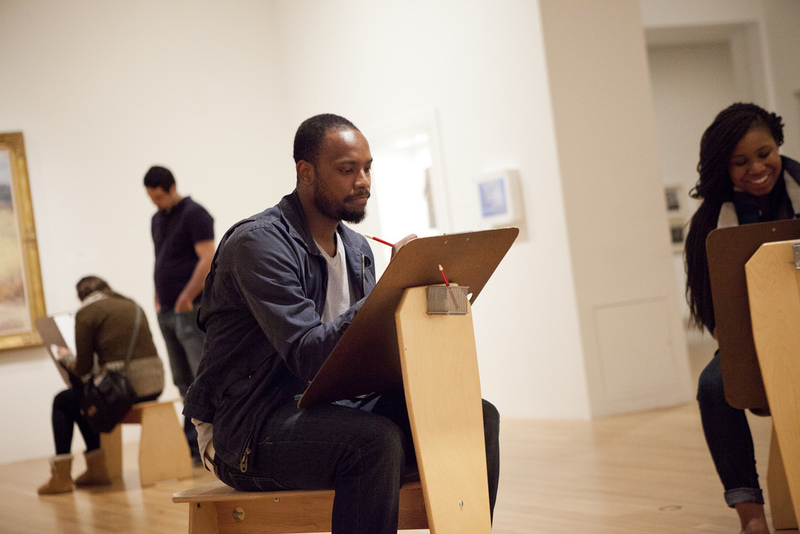 How has your time at the DMA shaped who you are as an art educator? Before I came to the DMA I knew very little about the type of education that can occur in museums. 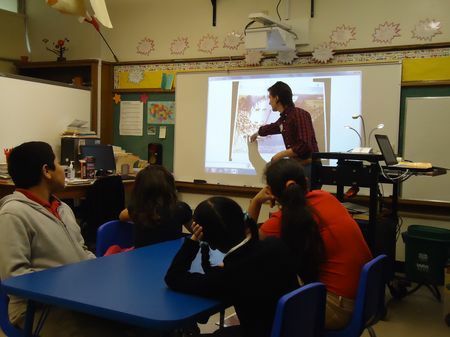 I had taught English and studied Art History, but didn’t feel that traditional teaching was my calling. Once I began my position with the Museum, I gained many colleagues and mentors who encouraged me to spend time with art museum education colleagues in New York and Minneapolis. 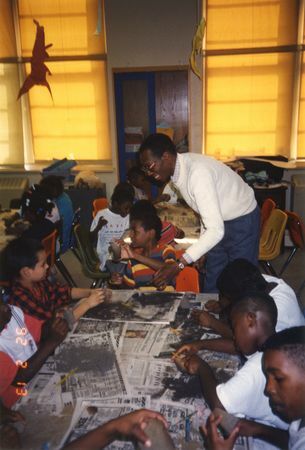 Soon after, I became involved with the National Art Education Association and have been active ever since. In addition to these colleagues, I was also given the opportunity to work with colleagues involved in evaluation and visitor studies, like Beverly Serrell and Randi Korn. Through this work, I have learned the value of setting goals and outcomes and the importance of measurement to informal learning. There have also been times when I was on my own, able to try out and experiment with new ideas, something that has proven valuable as well. The opportunity to learn and share with colleagues and then apply what I have learned at the DMA has truly provided me with a rich environment for my own understanding of art museum education, which I hope has allowed me to encourage meaningful visitor experiences with art. What will you miss most about the DMA? I truly will miss all the people. I have formed such close relationships with fellow staff that it will be difficult to no longer see everyone on a daily basis. The other big thing I will miss is hard to put into words. What I love about my job is the chance to constantly dig in deep with a project, to really research and wrestle and grapple to figure out the solutions and create something meaningful. There is always an opportunity for this sort of problem-solving process at the Museum, and I will miss being involved with those opportunities. Now my challenge will be trying to find them in other areas of my life. 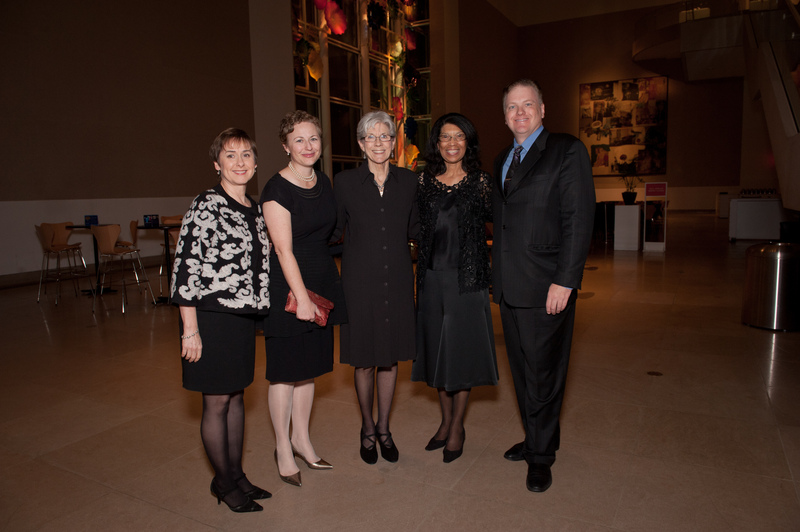 Gail with DMA curators Sue Canterbury, Heather MacDonald, Roslyn Walker and Kevin Tucker. What are you most looking forward to come June 2 and beyond? One main thing I am looking forward to is Sunday evenings without a knot in my stomach—that sort of anxiety that comes when you know you haven’t accomplished the work you were hoping to get a head start on over the weekend. I am also really looking forward to devoting more time to my family and friends. While I have loved my job, it has taken so much attention that my other relationships have at times come second. I also love to cook and am looking forward to nurturing my relationships through food by cooking for friends. Travel is also high on my list and now I will be able to spend more time really researching the places I’d like to visit. Currently, I am planning for a long trip to Brussels. What is one fun fact that people don’t know about you? I played intramural volleyball in college and was pretty good. It also provided a convenient way for me to travel from Bucknell to Penn State to visit my then boyfriend (now husband), Jim. 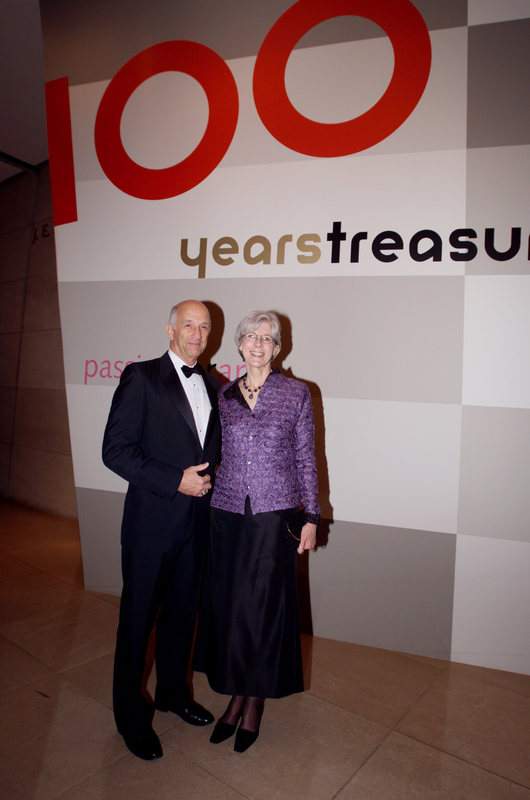 Gail and Jim at a dinner celebrating the DMA’s centennial in 2003. Gail has been an inspiration to all of us in the Education Division. We will greatly miss seeing her each day, but look forward to finding new ways to continue our work with her in the future. In my daily life as an educator at an art museum, I can easily be caught up in the administrative aspects of my job. With this post, I would like to step back and reflect on the importance of our jobs as art educators – whether in the classroom or at an art museum – and why learning through the arts is so important. The Partnership for 21st Century Skills is a national organization that “advocates for 21st century readiness for every student. 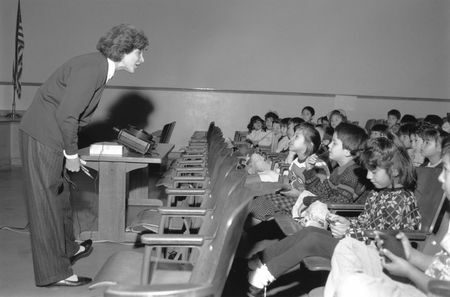 As the United States continues to compete in a global economy that demands innovation, P21 and its members provide tools and resources to help the U.S. education system keep up by fusing the three Rs and four Cs (critical thinking and problem solving, communication, collaboration, and creativity and innovation).” Learning through the arts plays an important role in the development of these skills. “…the arts promote work habits that cultivate curiosity, imagination, creativity, and evaluation skills. Students who possess these skills are better able to tolerate ambiguity, explore new realms of possibility, express their own thoughts and feelings, and understand the perspective of others.” View a map for the arts and 21st century skills. 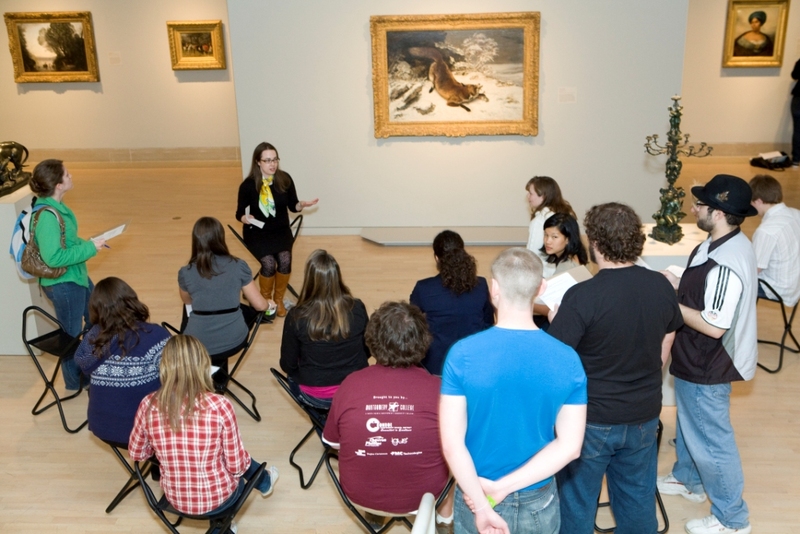 I believe that experiences with works of art can be transformative, and the DMA Teaching Programs & Partnerships department values and supports the work of classroom teachers who are providing these learning experiences for students. Thank you for the work that you do!